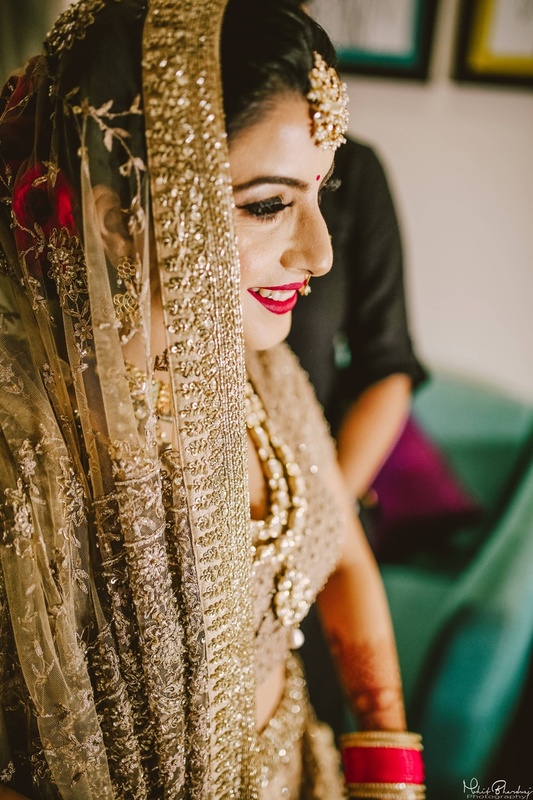 This bride's all gold look with a unique jaimala has won our hearts! 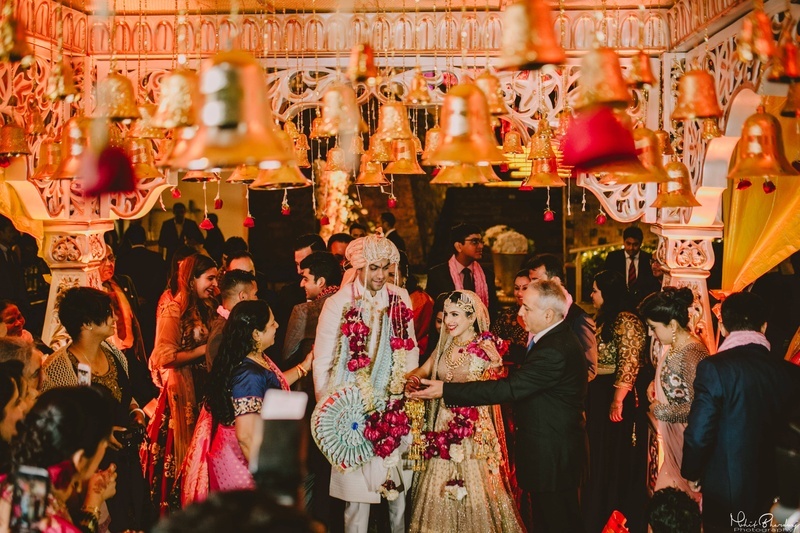 Ragnee and Akshit recently tied their nuptial bonds in an ‘out of the world’ gorgeous wedding held amidst the serene mountains of Morni hills at the Redwood Resort, Chandigarh. 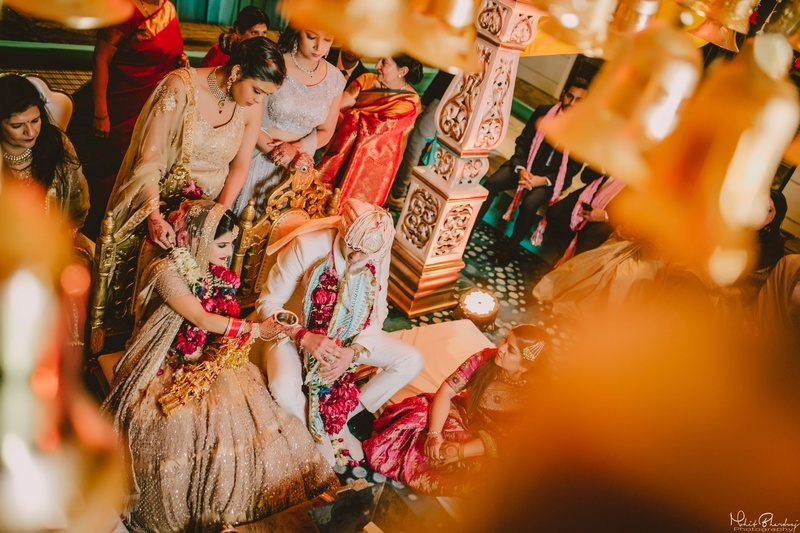 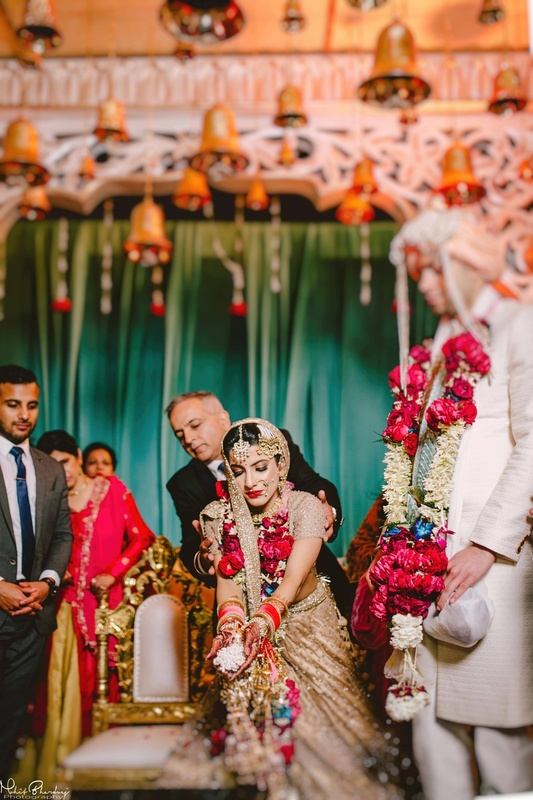 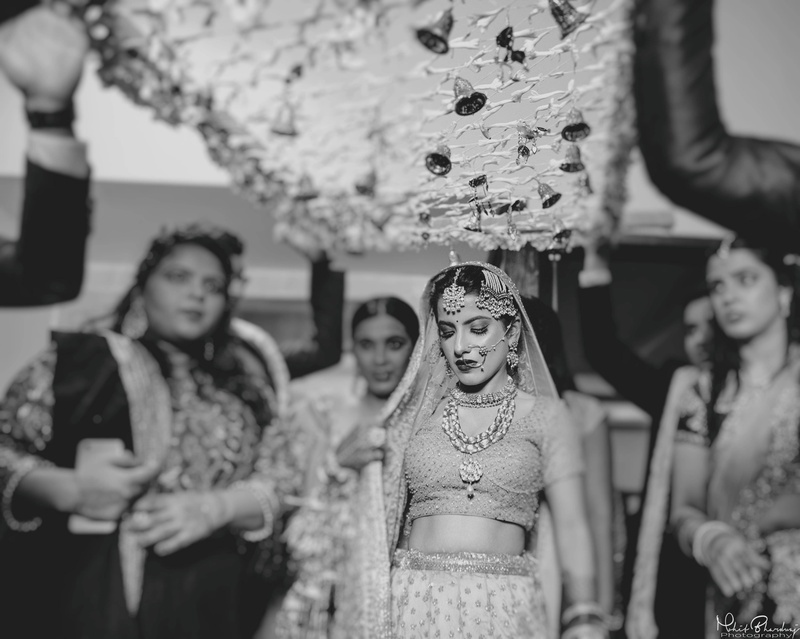 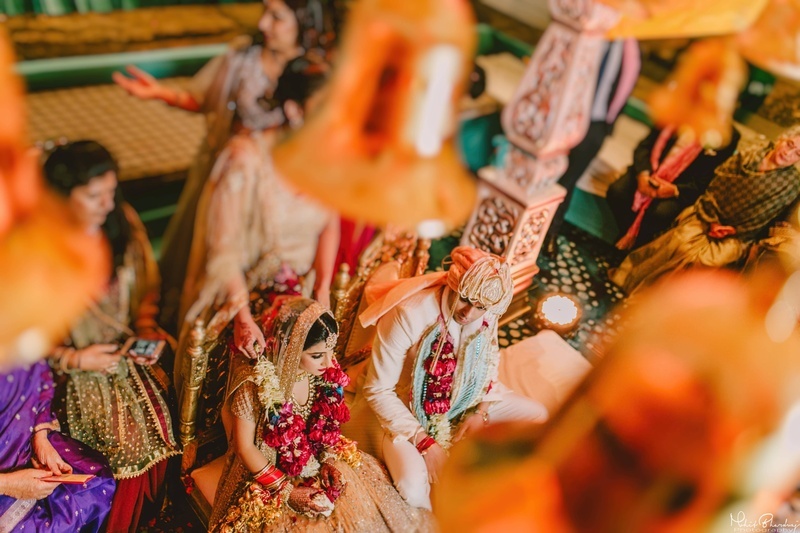 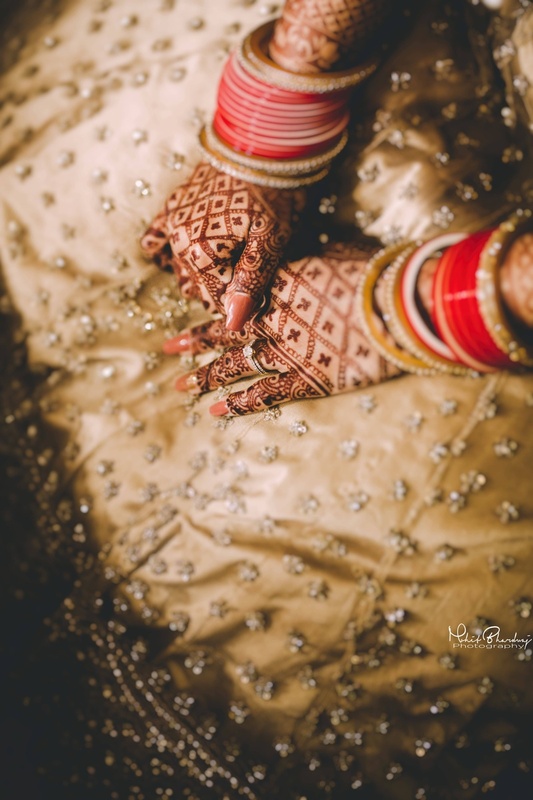 The duo hailing from Australia had a totally dreamy wedding and we simply fell in love seeing the grandeur ceremony at the Redwood Resort, Chandigarh and the fact that how pretty they looked together. 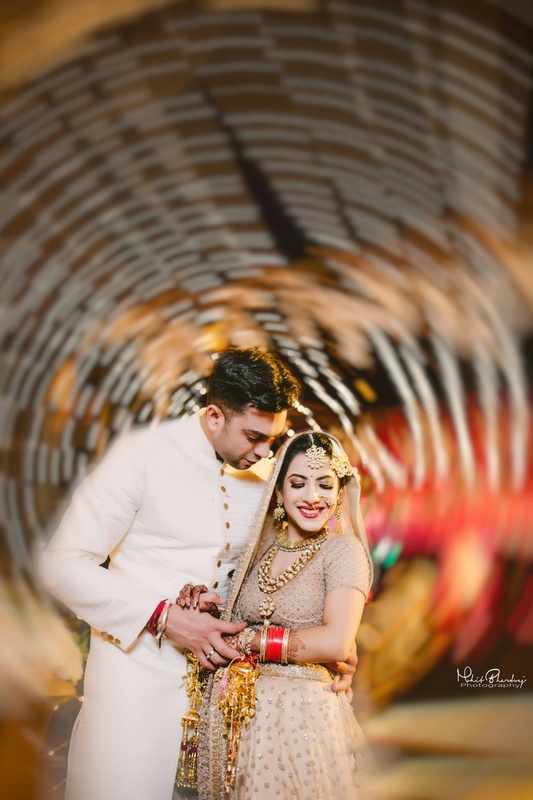 Our cute couple attended their college together before Ragnee moved to Australia. 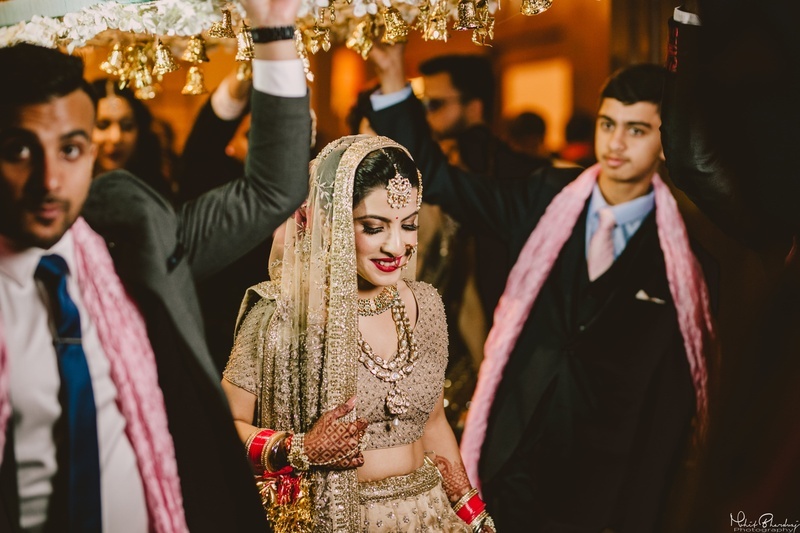 But as they say, bonds are pre decided in heaven itself. 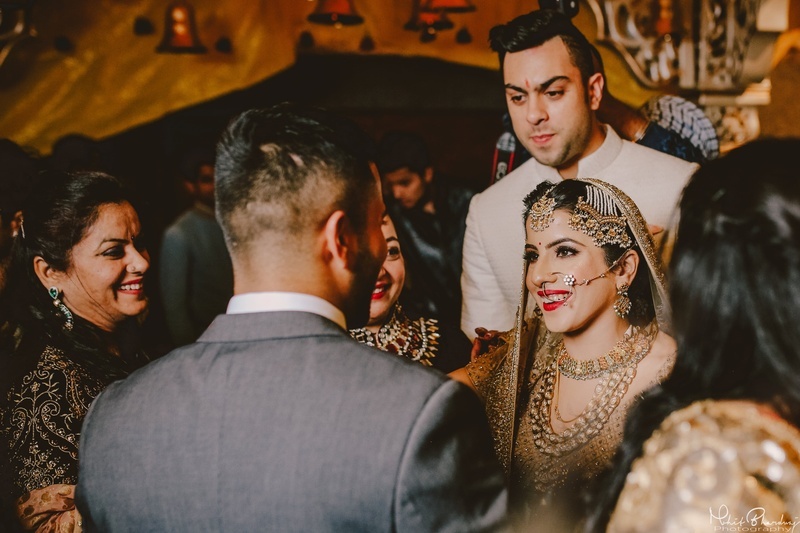 And so, years later, our pretty bride met her love of the life Akshit again through a common friend in Australia. 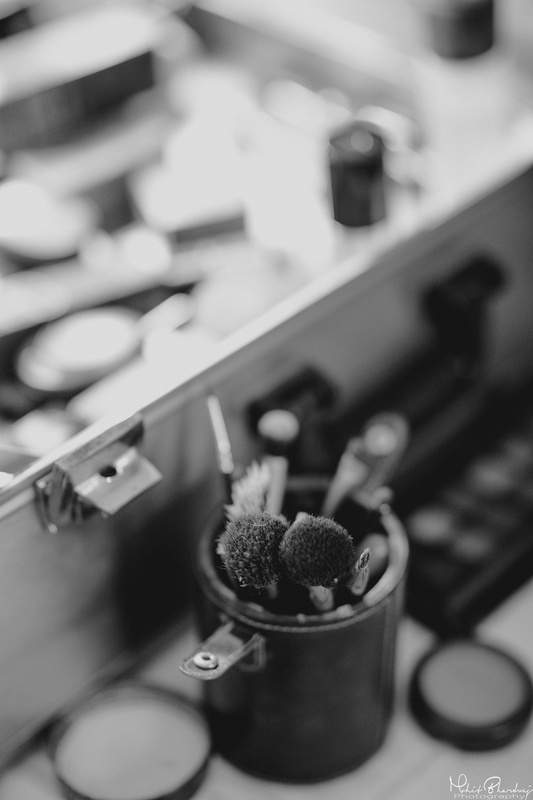 And that’s where it all began. 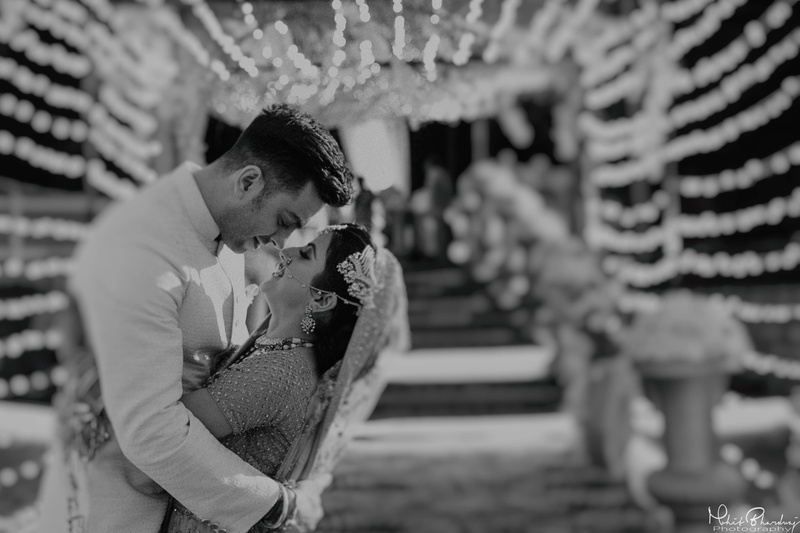 They immediately clicked and began bestfriends in a flick of time. 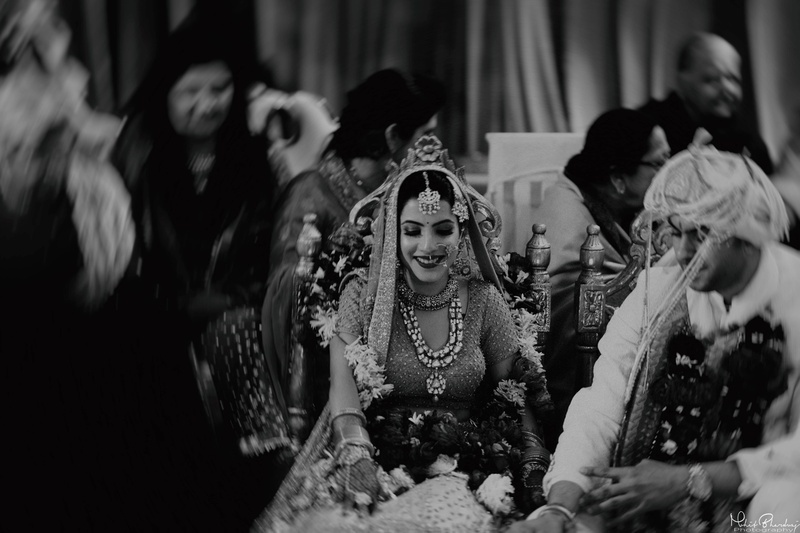 I always knew from day one that we had to be together. 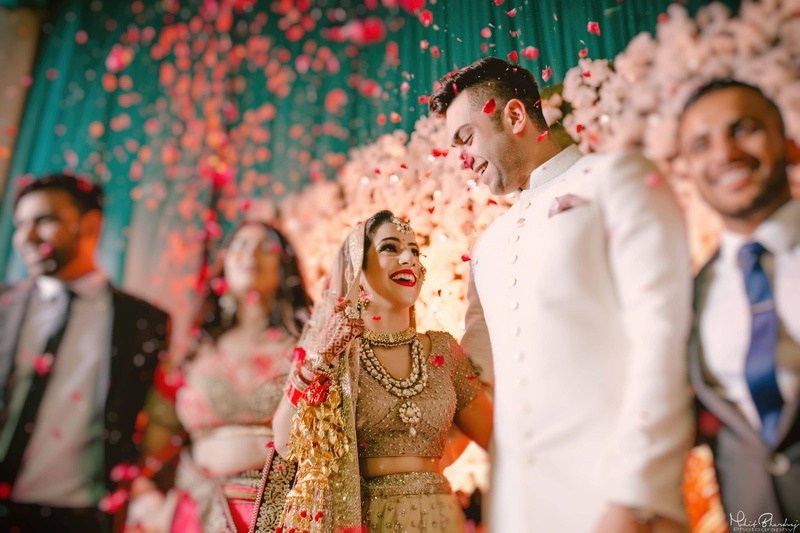 They dated for four years in a long distance relationship and after that, they decided to declare their love to the world. 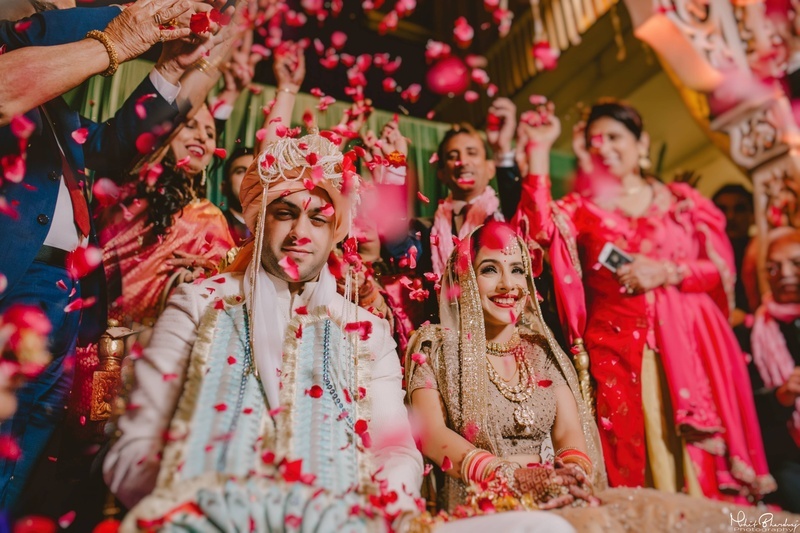 It was quite a difficult task for our bubbly bride to manage the wedding planning being in Australia but the one thing that she kept in mind was the complete enjoyment of her friends, family and the husband and wife to be, in the wedding ceremony. 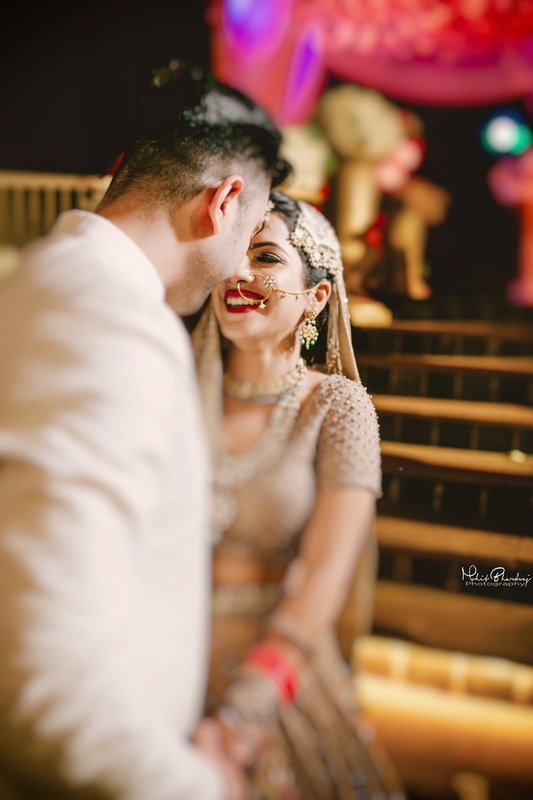 The wedding was beautifully captured by their wedding photographer Red Veds Photography and the couple totally stole our hearts with their killing D-day looks. 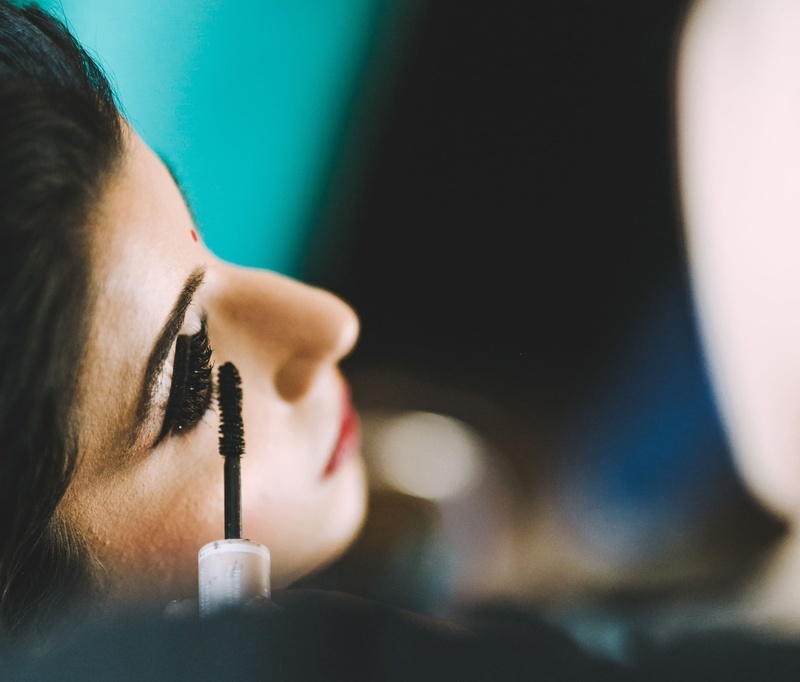 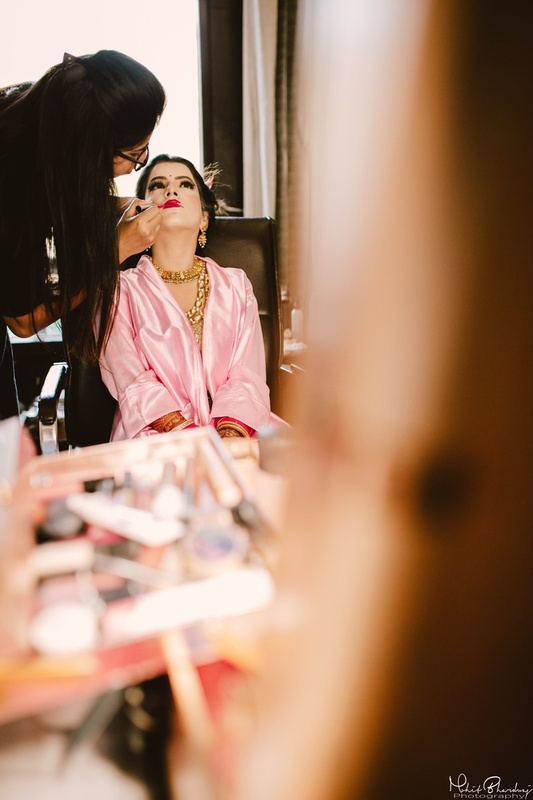 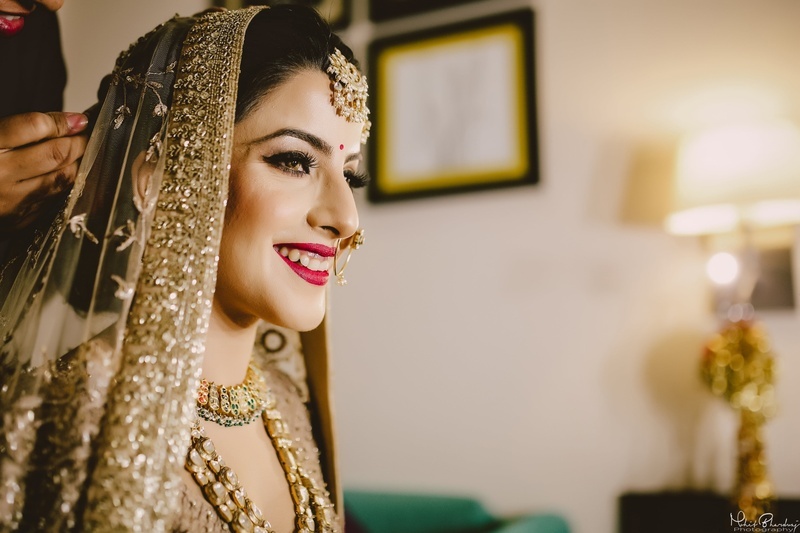 The bride specially looked like an absolute adorable princess in a make up done by Leena Bhushan! 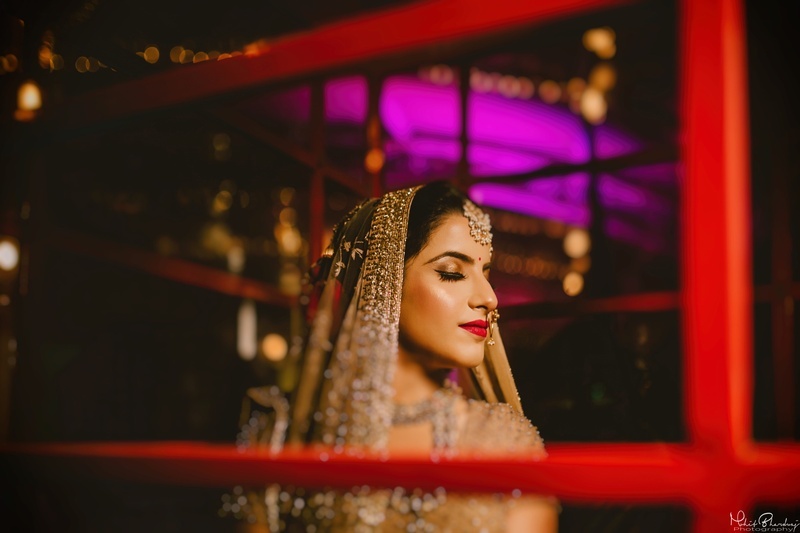 Beauty at its best indeed! 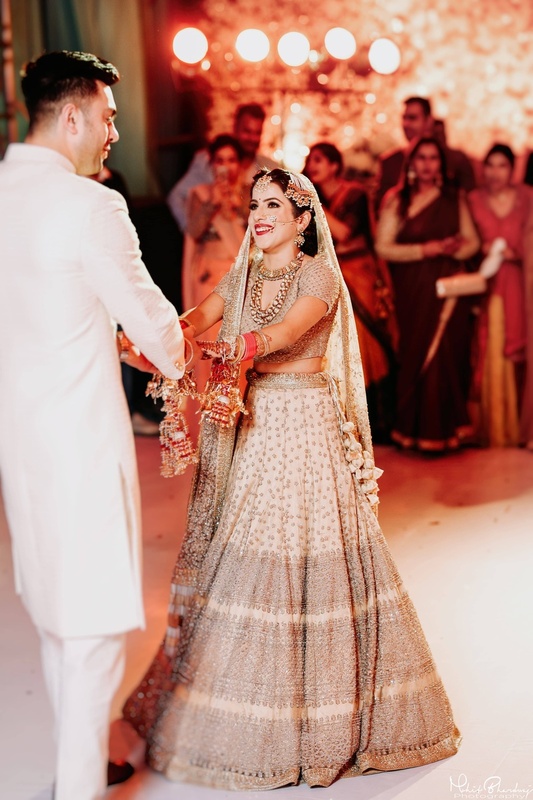 Ragnee wore a beautiful Asiana Couture beige coloured lehenga with silver embellishment embroidery over it. 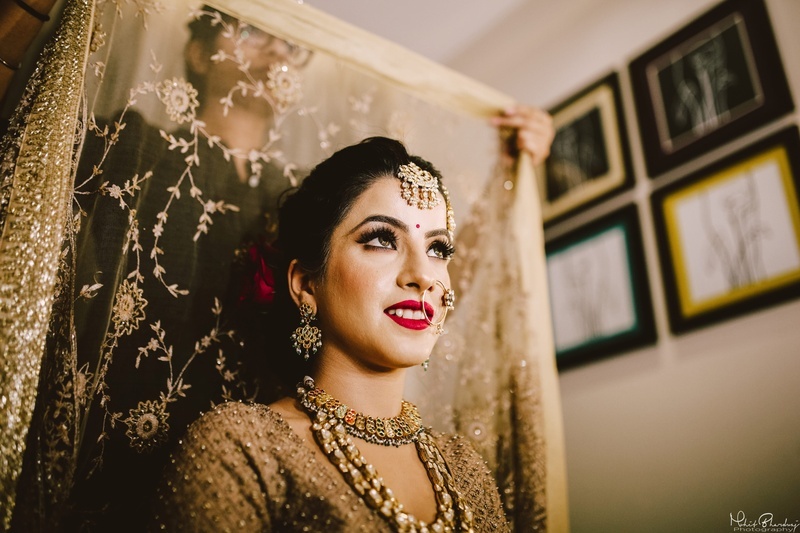 She complemented her lehenga with her mom’s heritage jewellery. 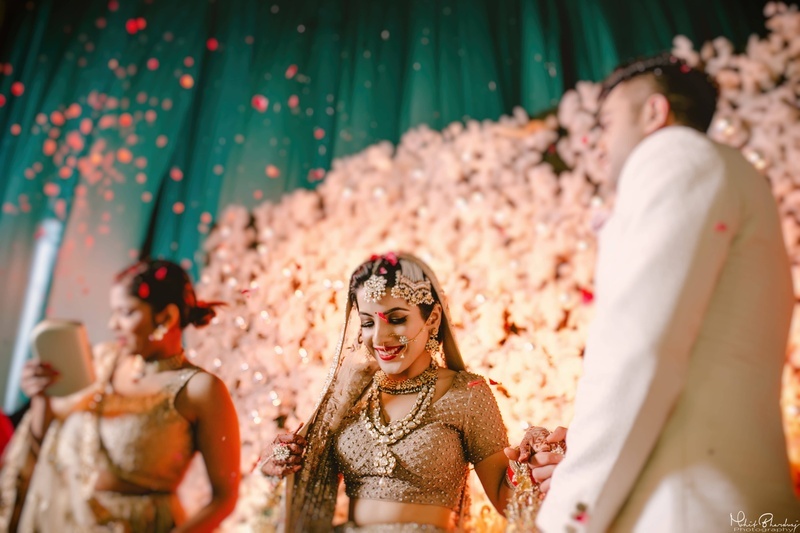 She wore a golden traditional choker necklace and complementary traditional maang-tika, earings and a passa with it! 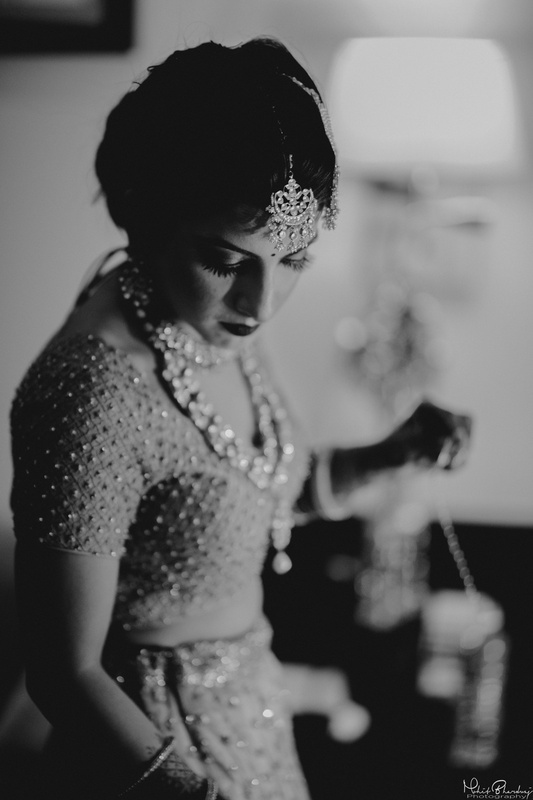 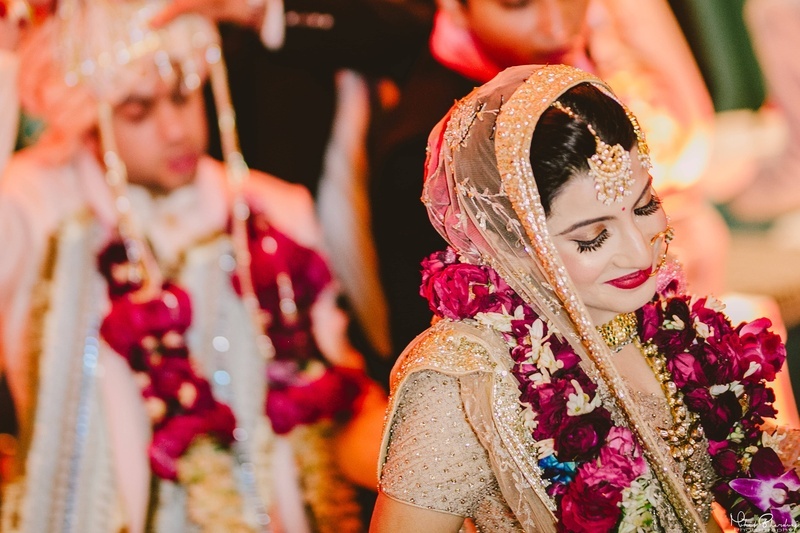 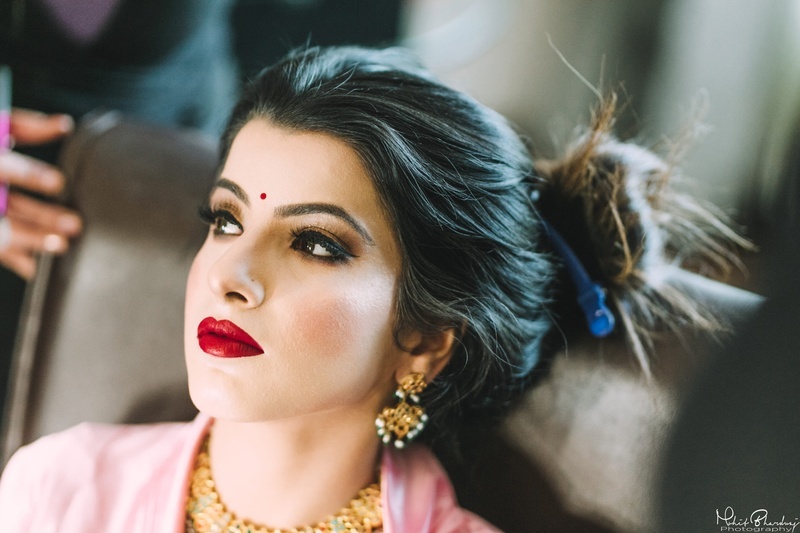 The Kundan necklace added a grace of royalty to the entire look of the bride. 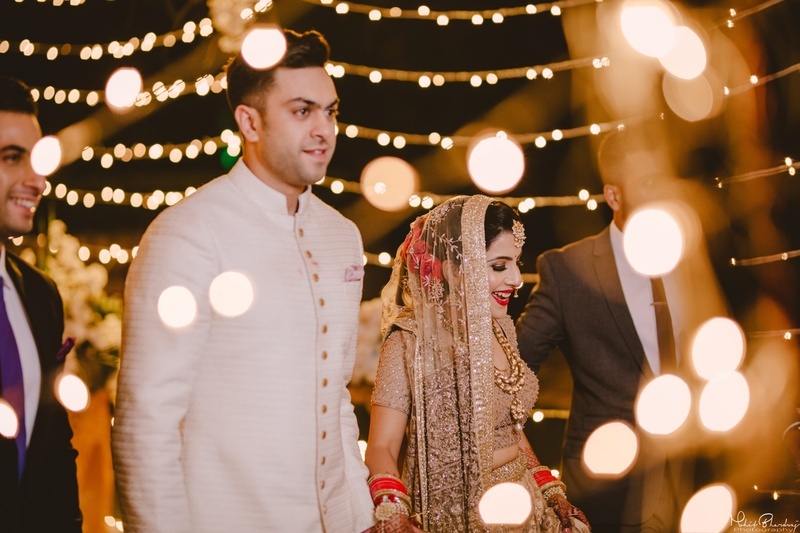 Our dapper groom on the other hand, wore a subtle off-white Sherwani with golden buttons picked out from Philocaly. 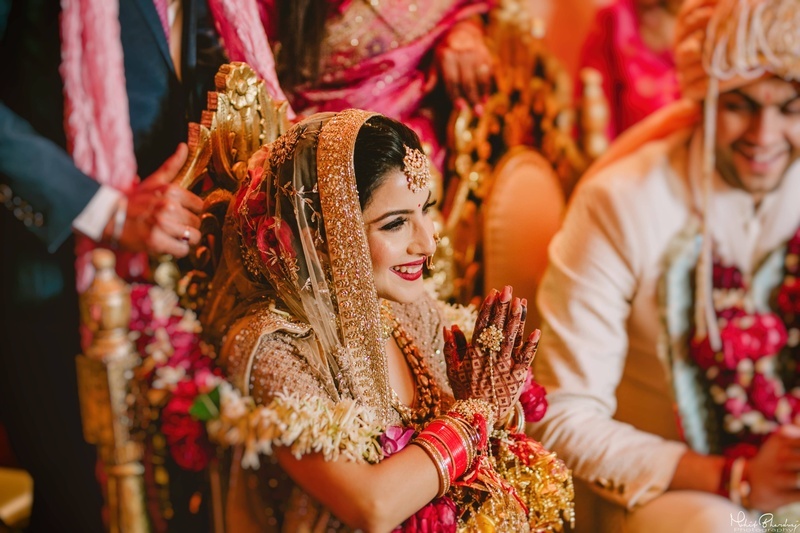 The duo had a magical ceremony and the charm of their glamour was visible throughout! 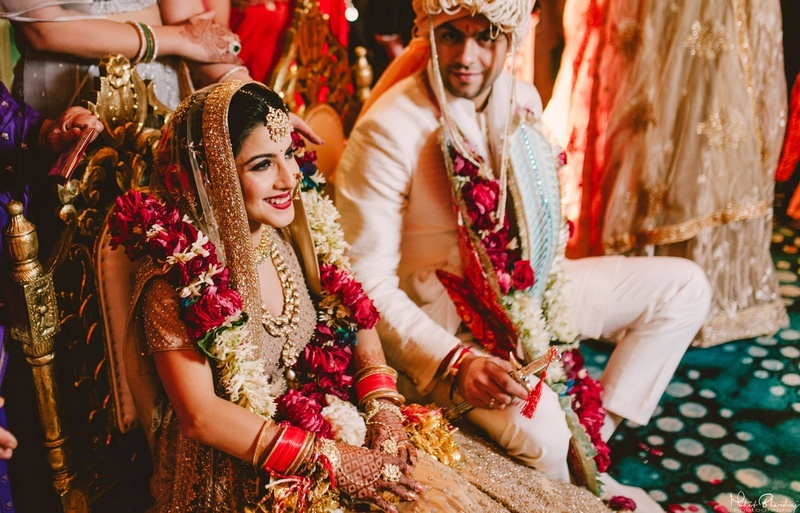 We wish this cute couple a lifetime of happiness in all their future endeavours!